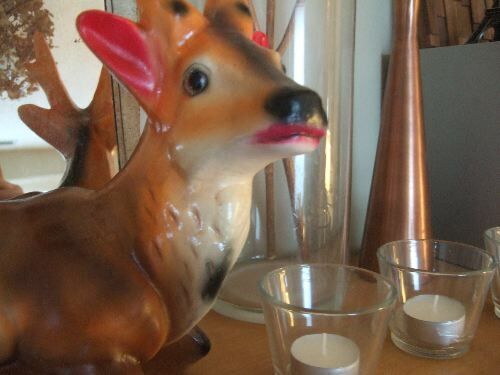 my little deer friend with pink lipstick. he sits on my bookshelf. passers by think he's ugly but i loooove him.